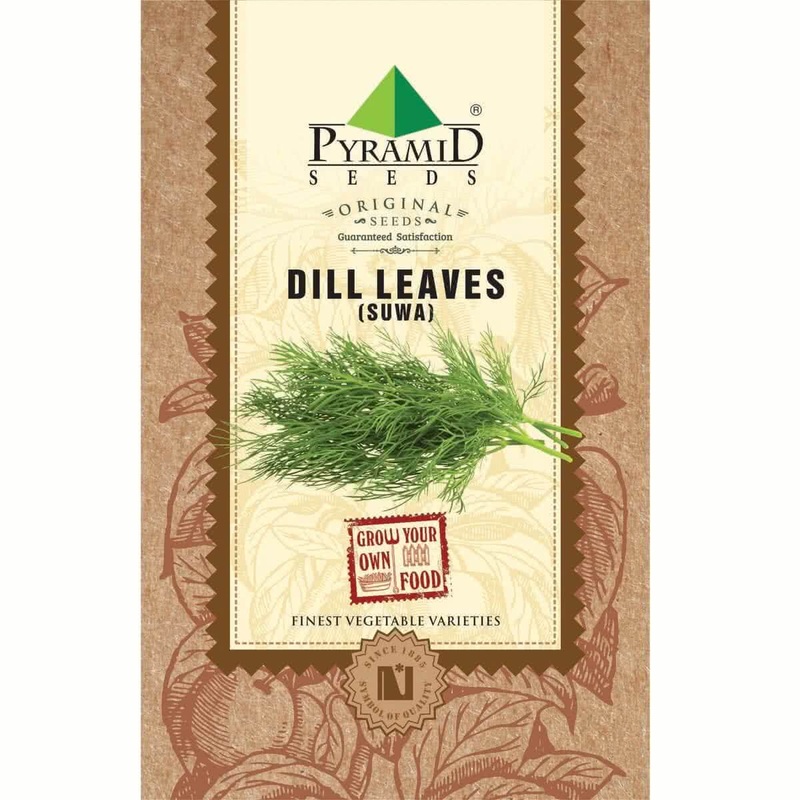 Introduction and Uses: Dill commonly known as Suva in India, is a treasure trove of calcium, iron and manganese. It is plush with anti-inflammatory and antibacterial properties too. Dill is mainly used for making pickles that are savoured with grilled burgers and sandwiches. Its seed and oil are used to add flavour baked food products, meat, liquor, condiments and snacks. Sowing container: Since dill has deep tap roots, use deep rectangular containers with a minimum depth of 12 inches. The width & length can vary. Make shallow holes (1 cm) at a distance of 7 x 7 inches. Push the seeds a little into the soil medium with your fingers & cover them completely with surrounding soil. Seeds will germinate within first 6-8 days, or even earlier & tiny seedlings will be visible with first leaves. Thinning: If more than one seed has germinated per hole, cut off the smaller seedlings & keep only one seedling per hole. Baby Dill plants will be visible in 15 days. Mature leaves will be ready to harvest in 50-60 days. Sunlight: Dill requires partial sunlight of 3-4 hours. So place your containers accordingly. However, it can withstand full sun during winters. Watering: Water your Dill container / raised bed every day in the form of a light shower with a watering can. Sprinklers can be placed outdoors. Plant care: Always look for the early signs of any insect/fungal infection/ any other infections. Spray appropriate medicines as soon as any symptoms of such infections are spotted. Microgreens: If you plan to grow microgreen Dill leaves, grow it indoors in flat containers. Sow-scatter the seeds in a crowded manner. You can harvest it in 10-15 days by uprooting the baby plants. Dill seeds: Dill leaves are not harvested & plant is allowed to grow tall. The herb eventually starts flowering and producing seeds. These seeds can be harvested from the head bunches. 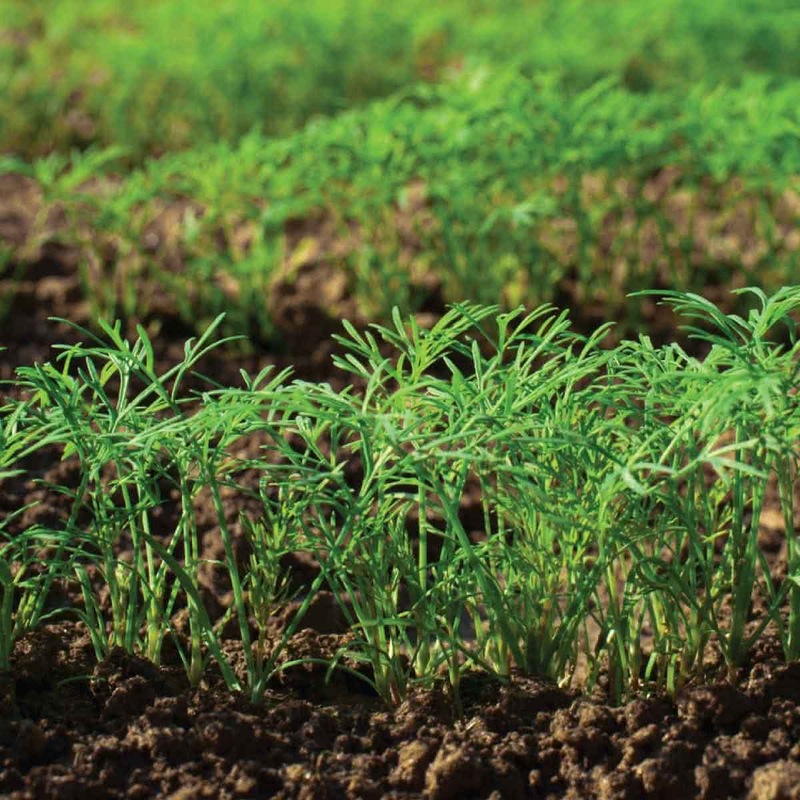 Harvesting: About 50-60 days after sowing, Dill can be harvested by cutting the mature leaves using a scissor and leaving the fleshy base of the plant for the next harvest. In this way you can harvest Dill 4-5 times in the intervals of 25-30 days.